A shaft of light t sunrise illuminates a lone tree overlooking Gregory Canyon and the north side of The Flatirons. 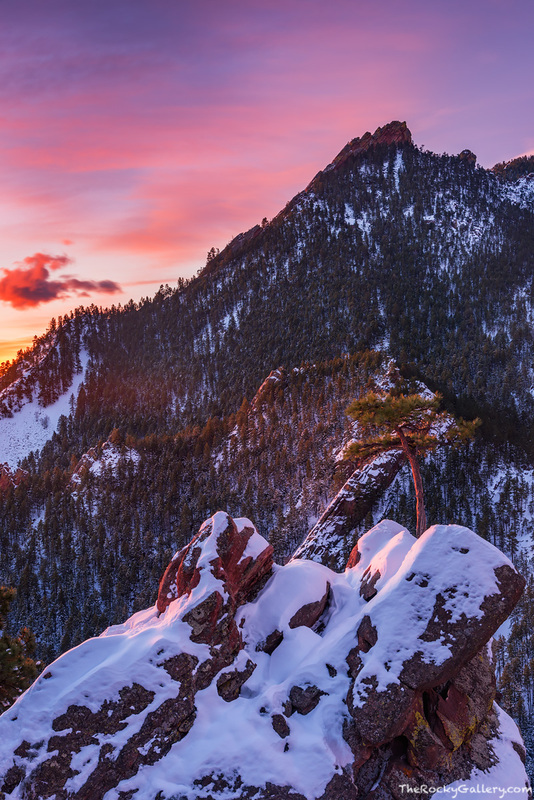 High above Boulder,Colorado this tree overlooks some of the most beautiful scenery in all of Colorado. Photo © copyright by Thomas Mangan.